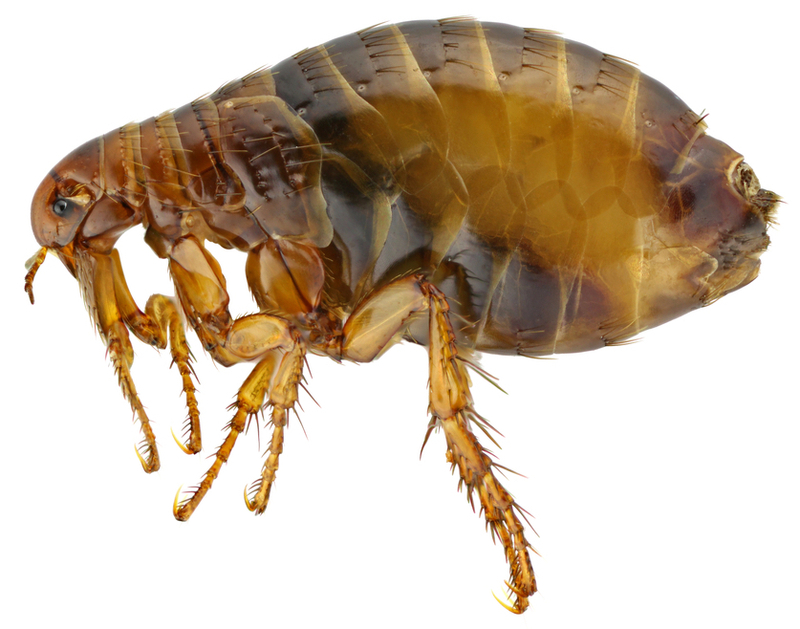 Fleas have four life stages: egg, larva, pupa, biting adult. They feed on the blood of their host, which can be many species – humans, birds, reptiles, and wild and domestic animals. The female flea can lay 2,000 eggs in her lifetime and can live more than 100 days without a blood meal. The female flea consumes 15 times her own body weight in blood daily, so they are almost always feeding. Fleas can jump approximately 150 times its own height. That’s like if you could leap over tall buildings in a single bound! Pets with fleas may develop anemia, tapeworms or intense bouts of itching (pruritus) so flea treatment is very important, especially if you have pets. Some pets may develop an allergy to flea saliva, which causes severe irritation and itchiness. Not only are fleas a nuisance but can have some basic and inconvenient health side effects. Get in touch with us if you are having flea problems! One phone call to Local Pest Control solved our dilemma. Our house was affected by a white ant problem. One phone call to Local Pest Control solved our dilemma. We recommend Local Pest Control to anyone with a similar situation. Ian has been inspecting my home for White Ants for some years now. I find him honest and always willing to keep me informed with regards to what changes are available for white ant control. We found their pricing competitive and realistic! Local Pest Control treated our home for Termites. The service was carried out in a professional manner with the eradication of the Termite problem to our total satisfaction. We found their pricing competitive and realistic.